I don't generally do a cut-and-paste of when a comic company announces a new book as unless I have some unique insight to add what's the point? 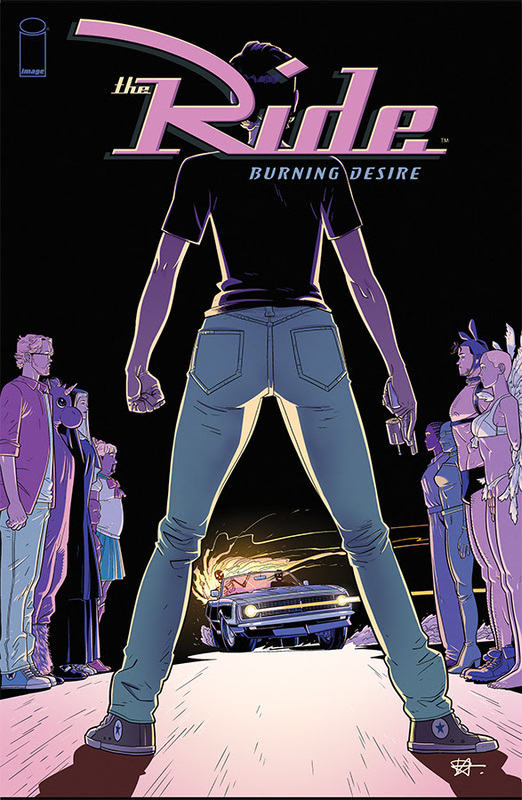 That said, the announcement of a new mini-series called, "The Ride: Burning Desire," to commemorate how the first mini relating to, "The Ride," came out 15 years ago as of 2019 was written just right to catch my attention. "The Ride," has always followed a wide range of characters with no connection to each other besides a unique car that somehow becomes involved in all kinds of stories that can range from gritty to wacky. Here is the announcement of the new mini-series below with some musings of my own after. Adam Hughes' crazy variant cover. I mean come on, people, doesn't that description of what to expect read as deliciously absurd? "Fetish Noir," has to be the best new term I've heard in a while to describe a story. I've enjoyed previous editions of, "The Ride," and quite liked, "Plastic," so I'm excited to see what, "The Ride: Burning Desire," holds for us readers when it starts in June!